Beau Lawrence, Founder and President of Ace Rivington, has over 18 years of experience working in design and development of Men’s Jeanswear, the former Director of Product Development at Guess and VP of Design and Merchandising at Neff Headwear, Lawrence ventured out on his own just twenty months ago. All based on a unique fabric, a dream and a pilot’s story. “When I came across the Homespun French Terry, all I could think was that I wanted to live in this fabric.” Within weeks the prototype for the sweatshirt was created and the Kickstarter project launched. With overwhelming interest and support, Ace Rivington was funded at over 200% to goal raising over $60,000 in 34 days. I am happiest and most fulfilled when I’m able to come up with a concept and build it in to a product in front of my eyes; Whether it’s sewing a sweatshirt, or building a trade show booth, I get so much satisfaction out of the simple act of making things. For my entire life, since the first box Lincoln Logs (building set), I’ve always believed that making things is what I do best. In life I’m fortunate to have a very sure perspective on what I’m destined to do. This has been true since I was a kid and this belief gives me the confidence to not question the decisions that are critical for our success. Having the insight and willingness to also learn from our mistakes (in case that first perspective wash wrong) is also very important. The daily love and support I get from my family also helps me in every way to be the best. This is a funny question and definitely subjective based on the effort that it takes to build anything. What I’ve learned to understand is the biggest trick to success is that once you have finally reached a position where you feel you are the best and everyone knows what you’ve accomplished, you’ve already been working hard for several years. The challenge for us is reaching that point, and this comes from not quitting, believing in the vision, and setting the sights high for what we want to accomplish. Being the best does not come easy; but neither does anything that is truly worthwhile. Personal: The most important aspiration for me is to live a balanced life with my family. I’ve been very fortunate with this business to be close to them for the past year and half, and what I want most is for that not to change. Business: My goal is to turn Ace Rivington in to a household name and international brand. A long list that starts with Frank Lloyd Wright and goes from Walt Disney to Sir Richard Branson. I’m fascinated by people who have built something in their lives that I can learn from. From Florence to Vietnam and the Middle East to Mexico City for me the best travel experiences have always come from connecting with the local people and learning more about their world. I’m excited most about product with purpose and function. 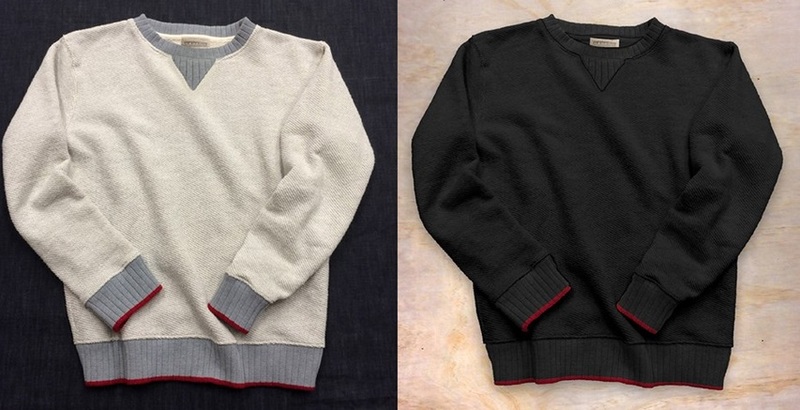 Whether it’s a lofty cotton yarn that breathes well to allow a sweatshirt to be cool, a model T that brings affordable transportation to the masses, or a metal rivet used to reinforce the seams on a garment to help make it more secure. What I’m passionate about is a long list. One personal passion that I rely on daily to lose myself in is music, it helps me focus and slip away to another place. I also love fast cars. The more horse power, the better.